My last trip to New York City was sadly not the foodie hunting trip that my visits normally are. (There was a lot of family stuff going on, and while I am sad I didn't get to find lots of good things to review, I am glad I was there for them.) But when I was leaving, I hit a couple kiosks at LaGuardia airport and actually found a few good things. 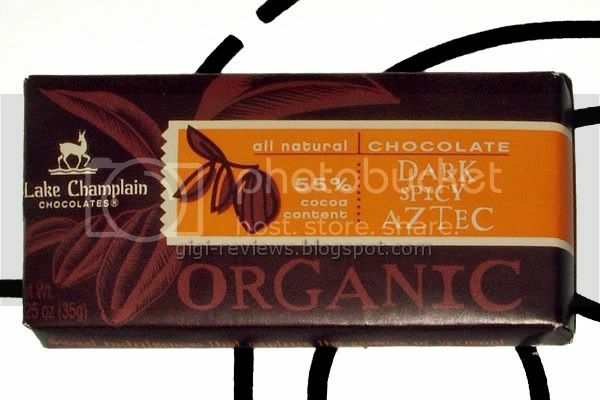 One of those things was this Lake Champlain Dark Spicy Aztec bar. I had read several reviews Cybele wrote on Candy Blog (read her review of the bar here) and thought they sounded great -- but I had never seen them "in the wild." Gotta love the United Airlines terminal! Anyway, the Aztec bar is made up of a 55% dark chocolate, cayenne pepper, vanilla, cinnamon AND pumpkin seeds! I love pumpkin seeds, and you don't see them used in candy all that often. 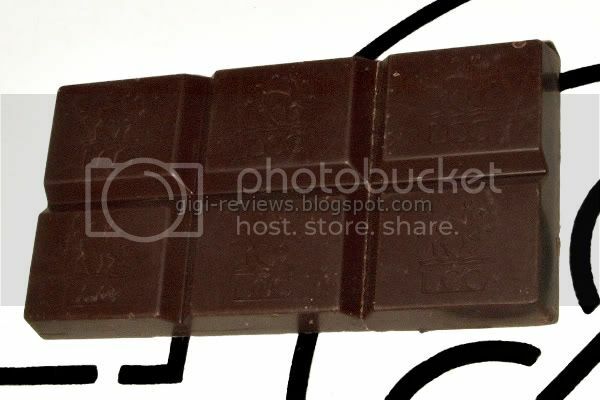 The bar is made up of six molded bite-sized squares. It also has a high gloss and fantastic snap. The pepper stands out right away. Between the cayenne and the cinnamon, there is enough heat to cause a little burn. As a chilihead, I chase the heat, and for me it was just a little baby burn. (I admit it -- I can practically drink Sriracha sauce -- or my fave that other L.A. locals might know, the red sauce from King Taco.) If you are more sensitive to heat and spice, be warned that it might be a bit much for you. I love how the spice perfectly balances the dark chocolate. 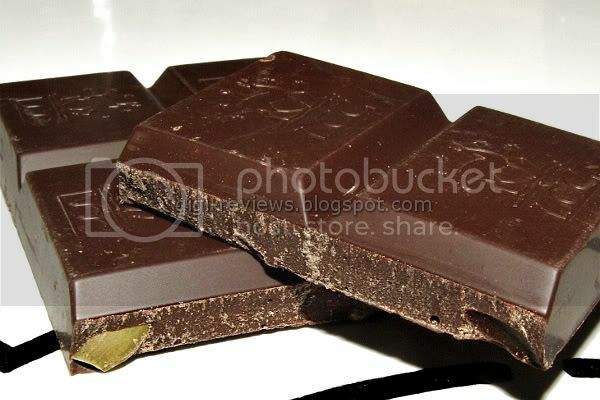 The dark chocolate has a smooth melt, and just enough sweetness that it keeps the heat in check. My favorite part, though, is the pumpkin seeds. They add texture and crunch. And it's a pleasant change to get that from something that isn't a nut, or even crispy rice. They are a little earthy and salty...which plays well with the spice. I really loved this bar. On top of tasting and looking great, it's also all natural and organic. That means I can eat more of it, right? Some random store in the United Airlines terminal at New York City's LaGuardia Airport...but you can also order direct from the company or find local retailers by visiting Lake Champlain Chocolates directly.